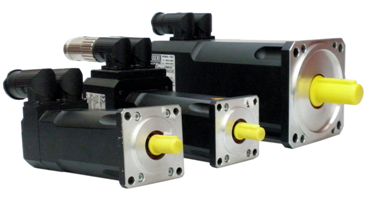 The SSAX 2000 Series Brushless Servomotors with permanent magnets are designed to meet the most demanding needs of industrial automation with very high performance levels and are extremely reliable, requiring little maintenance. Axis Controlled by CNC, Strongly Intermittent Motor Duties, Machine Tools, Textile and Graphic Machines, Robots, Transfer Lines, Manufacturing, Packaging and Wood Working Machines. Compatable servo drives to use with: MCB, MCB Plus, B17 and B24 servo drives.